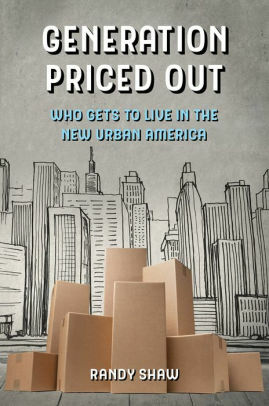 THC Founder and Executive Director has written a new book on a subject we know well at THC: the affordable housing crisis. Decrying how progressive cities like San Francisco have enacted policies that price out working and middle-class residents, Shaw’s book is a call to action for cities to instead promote inclusion and racial diversity. About a dozen artists facing eviction from a Central Market Street building would be able to stay in their homes under a tentative agreement that would have the city fund the purchase of the 15 units and place them under THC's management. THC’s acquisition of the Bristol Hotel was made possible in part by a generous $6.1 million donation from Salesforce CEO Marc Benioff which will subsidize rental costs for new tenants. The hotel will provide permanent housing opportunities for 58 formerly homeless adults. In May, the Adult Probation Department hosted their inaugural San Francisco Recovery Summit, aptly titled “Inspiring Change,” to celebrate leaders in public health and recovery services in San Francisco and the success of individuals in recovery. Alisea Wesley-Clark, THC’s Transitional Housing Program Manager, was awarded the Recovery Ambassador Award for her “steadfast commitment to recovery and working with others.” Alisea has helped facilitate the successful exit of over 160 participants from THC’s Transitional Housing Program since its establishment in 2015. In her personal life, Alisea founded Solutions for Women Empowerment, a nonprofit that seeks to build a community of support and provide opportunities for women in the Bayview—Hunters Point neighborhood. Other Transitional Housing Department staff also played a role in the Summit. Richard Beal, the Associate Director of Transitional Housing, assisted with the event’s organization as a member of the Summit Advisory Panel. In addition to helping select honorees and presenters, he organized a comprehensive resource table for attendees. The table was hosted by Linda Grigsby, a Desk Clerk at the Drake Hotel, home of THC’s New Horizons Transitional Housing Program. Housing Planning Specialists Neal Aneja, Susie Mattos, Shakeyla O’Cain, and Robert Rogers, and Transitional Housing Administrative Assistant Rupert Estanislao all provided event support to help the Summit run smoothly. The Summit featured keynote speaker Dr. Teri Delane and honoree Shirley Lamar who shared their personal experiences with substance abuse, journey as participants in Delancey Street, and current commitments to empowering justice-involved and low-income youth. To conclude the Summit, a panelist of speakers representing the SF Department of Public Health, the San Mateo County Correction Health Program, Glide Harm Reduction Services, and Westside Community Services discussed substance use in Sn Francisco and debated current treatment methods and the role of government in mental health services. Despite differing opinions, panelists ultimately agreed upon the importance of addressing mental health in recovery goals and of improving outreach to those struggling with substance misuse. The Summit positively engaged law enforcement, city leadership, non-profit agencies, and community members. THC is proud to have had our Transitional Housing Department play a role in this Summit and we look forward to the second annual event! Listen to Kelly O'Mara, KQED, examine the history of the Tenderloin and how it became the neighborhood we know today. Featuring Randy Shaw, THC Executive Director. SRO Hotels and the passing of the June 2018 Housing For All ballot measure could protect low-income TL residents against gentrification, but the safety of TL residents remains at risk. The annual La Voz Latina Holiday Celebration at Macaulay Park was a huge success and well attended by Tenderloin families. Over 500 individuals participated. La Voz, part of the Central City SRO Collaborative, started this annual event a decade ago and holds monthly activation events at Macaulay Park. Celebrating the life of San Francisco Mayor Ed Lee and his contributions to housing, the Mid-Market/Tenderloin neighborhood, and San Francisco's economy. THC attorneys Raquel Fox and Margaret DeMatteo successfully defended a Noe Valley woman from Ellis Act eviction through a jury trial. Iconic neon signs of Tenderloin hotels and businesses are being restored thanks to SF Shines and support from local owners. Rio Scharf, Community Organizer at THC's CCSRO, will leave the Tenderloin to attend Harvard Law School. Criminal justice-involved adults are given second chances through re-entry and transitional housing programs. The National Hotel, located at 1139 Market St., has officially become a THC hotel. With the completion of much-needed building upgrades and the careful planning and coordination of THC staff, the property is prepared to offer permanent housing to 72 chronically homeless single adults in San Francisco. The National Hotel marks the third new property to open under THC management since November 2016. The acquisition of these three buildings, the National, Crown, and Winton Hotels, have made available over 220 new units to formerly homeless adults. The National’s first tenants will be scheduled to move in later this month, with new move-ins continuing throughout the year. New businesses, housing, and safety measures poised to make 2017 the Tenderloin's best year yet. This week, the San Francisco Planning Commission rejected SRO conversion applications that, if approved, would have converted over 200 residential units to tourist lodgings without offering substantial replacement housing for low-income tenants. Since 1980, hotel owners wishing to convert residential units to tourist lodgings have been held accountable to specific guidelines for replacement housing put forth by the San Francisco Residential Hotel Unit Conversion and Demolition Ordinance. The conversion applications submitted in the last couple of years by six local hotel owners attempted to evade the Ordinance’s spending and quality requirements for replacement housing, leaving hundreds of low-income, elderly, and disabled individuals without decent housing. Supervisor Aaron Peskin, recognizing the potential harm of the conversion applications, proposed new legislation to strengthen the Ordinance and restore SRO housing opportunities. Thanks to Peskin’s legislation, support from Planning Commissioners, and the organization and collaboration of local groups such as the Chinatown Community Development Center, THC’s CCSRO, and Tenderloin and Mission SRO tenants, the conversion applications were rejected. THC has fought to preserve SROs and low-income housing opportunities since 1980. To see the city’s current Planning Commission and local Supervisors fight alongside our organization and on behalf of the city’s low-income and homeless population is indeed a marker of progress. Tenderloin Housing Clinic (THC) proudly opened the Winton Hotel, located in the Tenderloin at 445 O’Farrell St., on Wednesday, November 16, 2016. The Winton will offer 104 units of permanent, supportive housing to formerly homeless adults, with 45 of those units being a part of the Veterans Affairs Supportive Housing program. New tenants will move in over the next few weeks and months, each carefully placed by THC staff, to ensure tenants feel comfortable and at home in their new surroundings. The Winton now joins 19 other THC properties that provide housing opportunities to some of San Francisco’s most vulnerable population. The newly renovated building is the second SRO hotel opened by THC in the past year. The expansion of THC’s housing opportunities is part of an on-going effort to help the City reach its goal of ending homelessness for at least 8,000 residents within the next four years. What may seem like a small step toward a long-term goal is, in reality, a monumental and life-changing event for the individuals affected by the hotel’s opening. Thanks to the great work by THC’s Central City SRO Collaborative, 34 supportive housing tenants will get apartments at 180 Jones St. for a monthly rent of $700-800. The purpose of this call for artists is to solicit applications from qualified artists to create artwork for the Tenderloin community beautification project titled “Art Wraps For The Heart Of The TL.” The project is being managed by Tenderloin Housing Clinic’s Community Organizing department, Central City SRO Collaborative, and is funded through the Mayor’s Office of Housing and Community Development. The objective of the project is to help create a visually vibrant neighborhood in a way that resonates with the Tenderloin community. The project consists of two mini art projects in the Tenderloin District. One project is to paint art onto trash cans in the Tenderloin. The artists will paint directly only the surface of public trash cans. The trash cans are made of cement and have a pebble surface. The other mini project is to create artwork which will be digitized and placed on SFMTA utility boxes. The images will be digitized and placed onto vinyl wraps by a vendor, not the artists. We are seeking five individual artists to create four finished designs each for the 20 SFMTA utility boxes. For the trash can project we are seeking four separate artists to paint four cans each. Artists are open to submit applications for both mini projects. If selected, participation will be limited to either the trash can or SFTMA utility box project. Eligibility is open to professional, practicing individual artists residing in the San Francisco Bay Area. Artists must demonstrate a familiarity with the Tenderloin’s culture and history. Preference will be given to qualified artists that reside in the Tenderloin/South of Market neighborhoods. The trash cans and SFMTA utility boxes included in the project are within the following Tenderloin boundaries- East-West from Taylor Street to Larkin Street and South-North between Golden Gate Avenue and O’Farrell Streets in the Tenderloin. The deadline to submit for the proposed art project is Monday, September 19th at 5:00 pm. Please refer to submission instructions included in the package. Please refer to submission instructions and themes provided. 1) In person: At the front desk of Central City SRO Collaborative, 48 Turk Street, San Francisco, CA 94102, Attention: Baljeet Heyer (415)775-7110. Monday through Friday 10am- 4pm. Please obtain a receipt. Please call Baljeet Heyer at (415)775-7110 ext.111 for confirmation. Themes for the project were selected by engaging with the Tenderloin community. Meetings and outreach were conducted to select themes that resonated with the community. Please create a conceptual piece based on one of the subcategories from the following two project themes used for both the mini projects. Final pieces will be presented to and must receive approval from the San Francisco Arts Commission. The project manager will be presenting the project to the Arts Commission. Multi-generational- children, single adults, seniors and or families. Migration Diverse lifestyle, orientations, thoughts. TO APPLY – PLEASE SPECIFY IF SUBMITTING FOR TRASH CAN PAINTING PROJECT, SFMTA UTILITY BOX PROJECT OR BOTH. Resume of past relevant work, not to exceed one page. Please include relevant project experience, including public murals/paintings. Please include current contact information. Please include the contact information of two professional references. Please submit photos/copies of previous relevant work (paintings, drawings, murals). Please include one conceptual drawing based on the provided project themes. The image must be no smaller than 4 x 6 inches in size. Image must be filled in with color. Four complete pieces of artwork created for submission and approval by San Francisco Arts Commission. : October 31, 2016 (Project manager will present project and pieces to the San Francisco Arts Commission). *Timeline and dates subject to change. Selected artists must create complete pieces of artwork for each SFMTA utility boxes (refer to image below). Each artist create artwork for 4 separate SFMTA utility boxes. The final art pieces will be digitized and placed on vinyl wraps by a vendor. Templates will be provided to selected artists that are to be used in the creation of the final images. Materials will not be provided beyond templates. Selected artists must create artwork for 4 public trash cans in the Tenderloin. The artist will paint directly onto the pebble surface concrete trash cans. Refer to image below. The current cans will be swapped out with new trash cans, in the style pictured below. The artists will be required to treat the trash cans with a specified (provided) anti-graffiti coating. The cans will be painted on the sidewalk/street at their current locations. Due to time constraints, we ask artists to create pieces that are not highly detailed. 1) Specified if participating in trash can, SFMTA utility cabinet project or both. 2)One page resume with contact information. 4)Three copies of previous relevant artwork. 5 )One conceptual drawing/artwork based on provided themes. 6)Please call Baljeet Heyer (415)775-7110 ext.11 to inform of submission of application. Please leave a voicemail if she is unavailable with your contact information. If your company is looking for a fun team-building activity, volunteering with THC is a great way to motivate your company's team while giving back to the community. To learn more about volunteer opportunities with THC, contact HandsOn Bay Area and let them know you want to support THC! Since part of Jeff Kositsky's job as the director of a new, five-week-old city department on homelessness is to appeal to his connections in the world of technology, it makes a sort of sense that he would turn to curious and tech-savvy San Franciscans on our local Reddit page for an "Ask Me Anything" (AMA) session. Kositsky, formerly the popular head of the Hamilton Family Center, did so yesterday, echoing some of the declarations he'd made in the pages of the Chronicle this June. Kositsky appears no-nonsense, upbeat, and unwilling to accept the popular narrative that San Francisco homelessness is mismanaged and becoming worse while still avowing the stakes of the critical problem that homelessness represents — mostly for people who are homeless but also for those who are not.